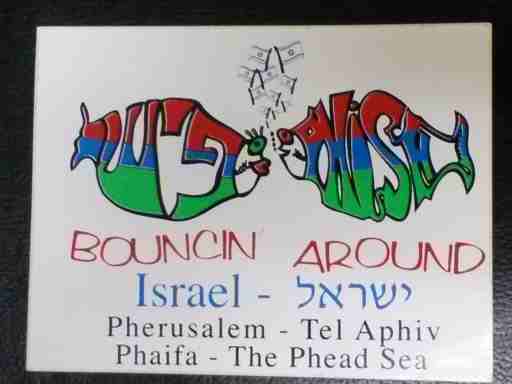 Straight from the promised land is this cool Bouncin' Around Israel Phish sticker. Phish heads ARE everywhere. This bumper sticker measures approximately 4" x 5".